Here are the macaw tails I have for sale right now, in the chart below. Each parrot has 13 tail feathers, shed at various times of the year, and gathered at great peril, since they are not owner-friendly birds, but fierce macaws, with plenty of parrot spirit! Feather sales from the Blue Throated, Buffon's, Scarlet, Blue & Gold, Greenwing Macaw, and Hyacinth macaws help to feed and care for them. Their numbers are dwindling in the wild, and it is my hope to breed them and increase their populations, hopefully replenishing them in their natural environment. I purchase large amounts of nuts in shell: walnuts, almonds, filberts, Brazil nuts, sunflower seeds, peanuts, Zupreem Parrot Food, and Parrot Mix, as well as lots of fresh vegetables and fruits. 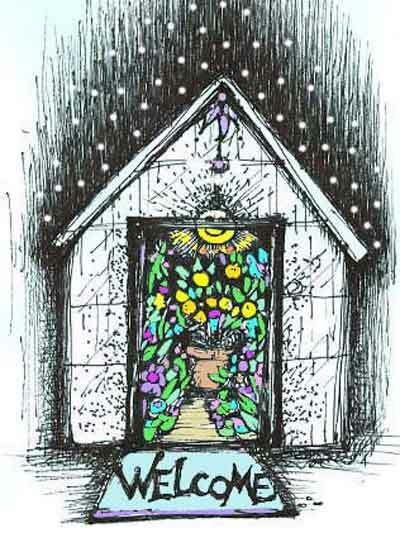 I also sprout grains for them, and provide as local and seasonal foods as possible, organic too. Good food makes nice feathers. Please bookmark this page because I am constantly updating it as I get new feathers! Click on underlined links in the chart below to see pictures of the macaws. Here' s what I have: very good condition means very few flaws; OK means plenty nice, good presentation, may have some thin areas or uneven edges (can be trimmed in most cases) still looking good. Poor condition means chunks of feathers missing, holes, thin, but usable. All are washed and clean, molted naturally. You may notice there are only a few tails~ they get bought before I can even post new ones! But keep checking this page please, because there will be new ones soon! Please click & visit my etsy page, BoxessInTheWoods - there are macaw tails and feathers there! Scarlet Macaw: Red, Deep Blue or red/blue with red back of feather. Some are red with pink/blue tips. Smaller tails are royal blue with red backing. Greenwing Macaw: Tails about 19" or less, lovely turquoise and deep red colors. Shorter side tails are cobalt blue. 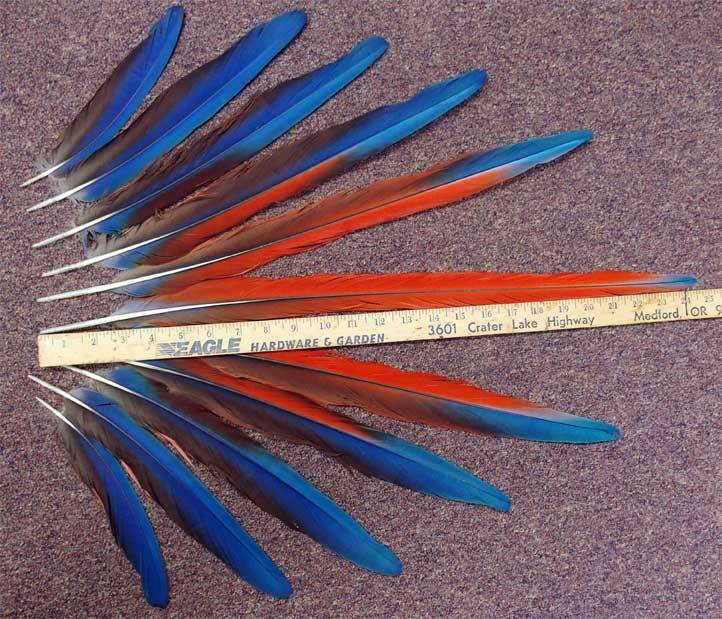 Scarlet Macaw set of 11- center tail is 25"! This set has been sold, but beautiful to see....! to make sure the feathers you want are still in stock; they fly in and out! 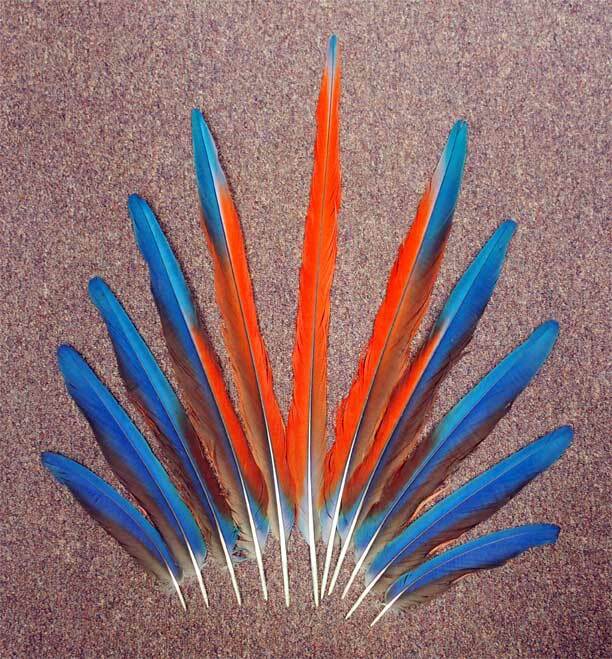 Susan's Parrot Feather Page Parrot Feathers on Sale!! See Lots of Susan's feathers at once! ©s.rowe& Co. All rights reserved.